Dr. Orian Brook is a Research Fellow at the University of Stirling, helping people working in the third sector to improve their skills in research and data analysis, and aiming to improve our knowledge about the sector. 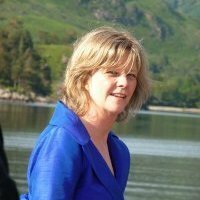 Previously Dr. Brook has taught quantitative research methods at the University of Glasgow and has been a researcher on the AHRC-funded Understanding Everyday Participation project. She has PhD from the University of St Andrews, on spatial analysis of cultural participation. Prior to this she was a researcher and marketer for arts organisations, analysing box office data and conducting primary qualitative and quantitative research, and training arts practitioners in audience research and analysis. She was a consultant on the development of the Audience Finder segmentation, which incorporated spatial analysis techniques developed in her PhD.